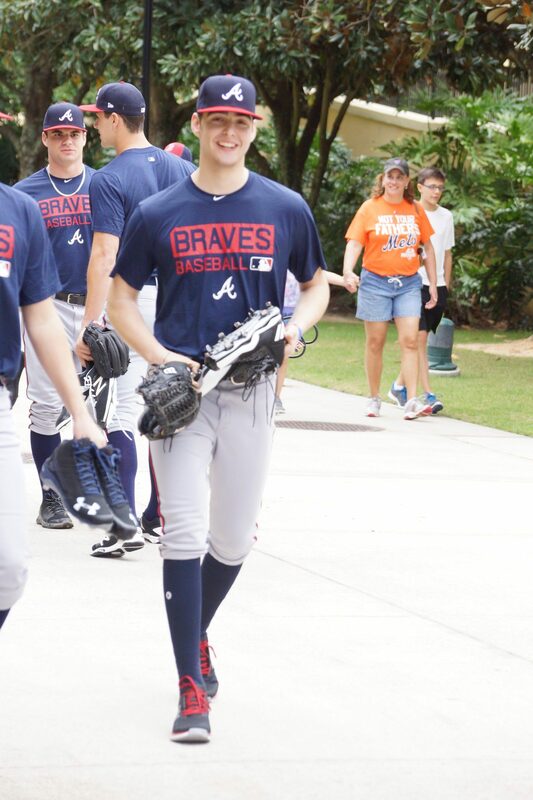 He was one of the first out of the clubhouse on the first day of minor league workouts at the Braves Complex at the ESPN’s Wild World of Sports with a big smile on his face. Ian Anderson the Brave first round pick in the June 2016 draft, third overall, was striding like a pro. As to his first off season as a pro ball player, Anderson said it was better. Ask if this is what he wants to do the rest of his life even though he is only 19 Anderson was quick with his answer. After signing last June Anderson went 1-0 with a 0.00 era at the Rookie Level GCL then he was promoted to short season Danville of the APPY League when he struggled a bit going 0-2 with a 4.19 era. Minor league players will be working out for the next couple of weeks doing drills, throwing batting practice doing skills workouts and physical drills. Then the spring games will start.